As a Certified Caregiving Consultant, you can reach out to me for help and support and coaching as you care for a family member or friend. I am a 30-something aspiring local celebrity do-gooder in Kansas City, MO. I have been the primary caregiver for my grandmother for over three years. I am also a former caregiver to my friend Calvin, an adult with developmental disabilities. I have been using the knowledge and experiences gained over the past twelve years building a career helping disabilities at the individual, organizational, and systems levels to help her grandma have a good life and age in place. You can watch my CCC Video to learn a little bit more about me and my background. Each client has the option of creating a daily organizing sheet, customized to your caree’s needs. 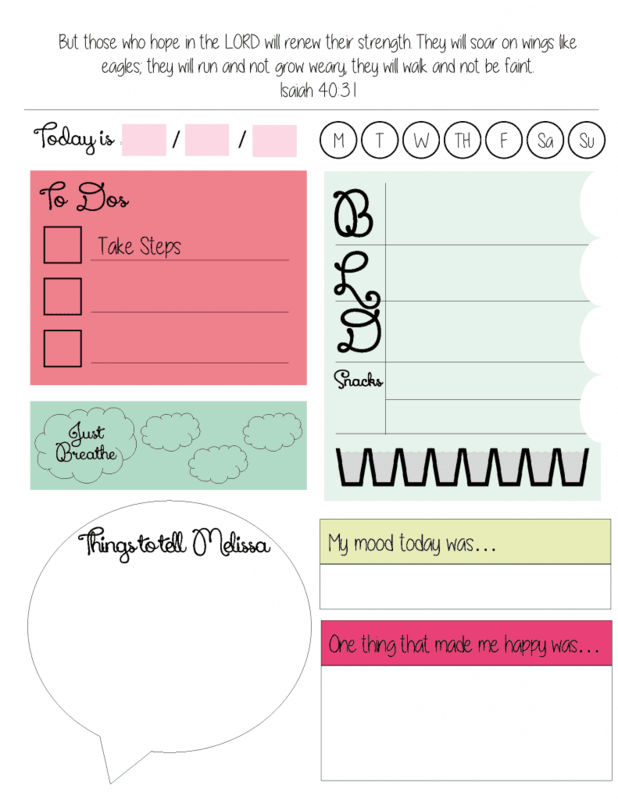 This sheet can help carees keep track of their day and help caregivers facilitate conversations about health and wellness, social and leisure activities, and day-to-day affairs. I offer all potential family caregivers a free consultation during which we’ll explore if we will be a good fit for each other. I am connected to a nationwide network of CCCs, so if we’re not a good match, chances are we can find the right one. Book your consultation. Would you like someone to review your website, materials, and social media content to make sure it’s family friendly? Need a writer with personal experience to create guides or write content? Contact me! I am available to share my personal experience and perspective as a family caregiver and present on the young caregiving experience and real life strategies for caregiving. Please contact me for details. Use my code CCC and get 20% off when you sign up to complete the CCC program yourself.